Each and every one of us have various reasons for wanting to change the way we look and feel. Many factors play a part in the overall ‘youthfulness’ of your skin such as age, skin care routine and lifestyle choices. All muscles in our face are used continuously in order to allow us to express a variety of emotion- such as anger, happiness or sadness. Through the repetitive use of these muscles changes in the face can gradually occur over time such as sagging, wrinkles and folds. Dentist know more than just about teeth – a dentist’s training and expertise is all about the face as well as its muscles. A thorough understanding of facial structures and anatomy is gained allowing dentists to make the procedures more comfortable, with the expertise needed to deliver effective anesthesia. Dr. Daniela Gagliardi graduated from the University of Adelaide as a dentist in 2008. After opening her own practice in 2015, her interest in cosmetic dentistry have led to further study in the area of dento-facial aesthetics including cosmetic injectables and dermal fillers. Dr Gagliardi practices in both areas of dental, regularly attending courses and training to engage in and practice the latest techniques and procedures. Her aim is to provide patients with a conservative, natural, and refreshed look. Anti- wrinkle injections are a non-invasive treatment which involves a purified protein being injected into muscles in order to temporarily relax key facial muscles to achieve a fuller, smoother and younger look. These treatments reduce the appearance of fine lines across the forehead, frown lines, crow’s feet, and smile lift. Generally, noticeable results occur within 2-4 days post treatment, and full results can be seen at roughly the 2-3 week mark. These times are averages; the actual time it takes for you to see results depends largely on your individual response to treatment. The effects of anti-wrinkle treatment usually last for approximately four months, however individual results may vary. When you come in for your initial consultation, you will receive a full facial assessment and detailed treatment plan tailored to your specific concerns and current ageing process. You will be informed of expectations for treatment and have the opportunity to discuss and concerns or queries you may have. Dermal fillers are made up of complex sugar chains found naturally in the body, with the role to attract water providing hydration to the skin. Fillers are designed to resemble your body’s own natural sugar chains with the sole purpose to rejuvenate and add volume to various areas of the face. As the name suggests, fillers are designed to ‘fill out’ wrinkles and lines, as well as restoring facial asymmetries and contours. Common areas that fillers are used to enhance are lips, cheeks, under eye area, chin, jaw line, and nose. The filler itself is a gel placed in the dermis to correct and contour helping you achieve optimal facial aesthetics. Dermal filler treatment is non-permanent and is absorbed over time. Typically, results will last anywhere from 6 months to 1 year- follow up sessions are encouraged to maintain desired results. 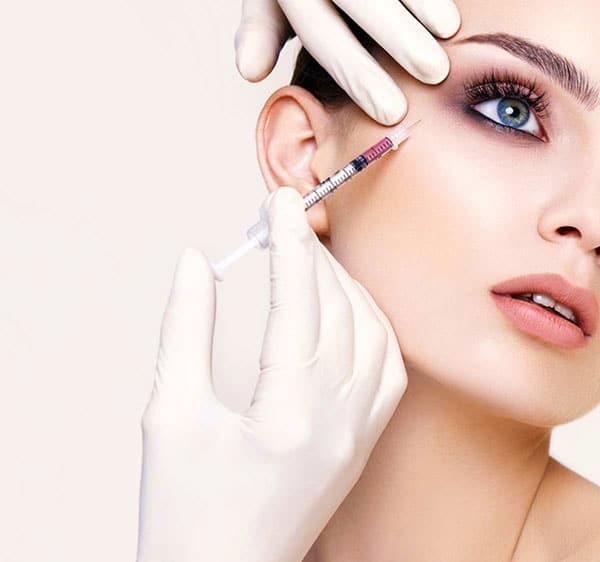 Dermal filler results are visible on the day of treatment and will continue to increase over the next 2-4 weeks as the products attracts and absorbs more water. Results will vary depending on current ageing process and each individual’s body’s response to treatment. Dental local anaesthetic is used to assist in creating a comfortable experience for patients. It is possible to experience some bruising, swelling or redness after your treatment- we encourage you to strictly follow our post treatment instructions to maximise and maintain results.